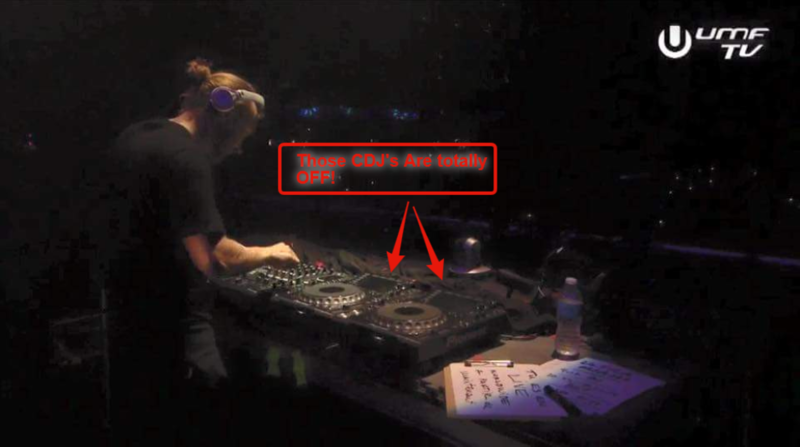 The life of a modern DJ is hard. [Gergely] loves his apps, but the MIDI controller that works with the app feels wrong when he’s scratching, and the best physical interfaces for scratching only work with their dedicated machines. [Gergely]’s blog documents his adventures in building an interface to drive his iPad apps from a physical turntable. But be warned, there’s a lot here and your best bet is to start at the beginning of the blog (scroll down) and work your way up. Or just let us guide you through it. In one of his earliest posts he lays out his ideal solution: a black box that interprets time-code vinyl records and emulates the MIDI output of the sub-par MIDI controller. Sounds easy, right? [Gergely] gets the MIDI side working fairly early on, because it’s comparatively simple to sniff USB traffic and emulate it. So now he’s got control over the MIDI-driven app, and the hard part of interfacing with the real world began. After experimenting a lot with timecode vinyl, [Gergely] gives up on that and looks for an easier alternative. He also considers using an optical mouse, but that turns out to be a dead-end as well. Finally, [Gergely] settled on using a Tascam TT-M1, which is basically an optical encoder that sits on top of the record, and that makes the microcontroller’s job a lot easier. You can see the result in the video below the break. And then in a surprise ending worthy of M. Night (“I see dead people”) Shyamalan he pulls timecode vinyl out of the grave, builds up a small hardware translator, and gets his original plan working. But we have the feeling that he’s not done yet: he also made a 3D printed optical-mouse holder. We can’t wait to see more from [Gergely], and wouldn’t mind seeing some of the code behind this project either. In the mean time if all this leaves you feeling inspired to make your own DJ controls entirely from scratch, have a look at this completely DIY turntable project. The life of a modern DJ is EXTREMELY EASY. Ive simplified it a bit, but let me promise you, the life of a modern DJ can be FAR easier than in the past, depending on music style and performance goals\style. The biggest change though is access to information – it used to require serious dedication to be a serious DJ – and it still probably does, but not like it used to. i was a DJ for 10 years and Let me tell you there is no joy better then like being the king of the party. and getting payed for it. It was a sad day when I had to sell all my equipment. Why you ask because everyone and there grand mother thought that they could do it. Boy oh boy some of the parties ive been to were sick. some I couldnt take and had to leave. O GOD I miss it. There are many famous/rich DJ’s and anybody can tell the difference between a lousy one and a good one (regardless of their fame incidentally). I have wondered if a door opener radar could be used for a forward and back incrementer. No control “surface”! And as well as any rotating object that could have a gray code strip on the underside and an optical pickup. With the “music” that is consumed now and DJ’ed many of us would say the party is over for now. The best DJ’s in town use the real thing, and alot of it ain’t new. The sell DJ controllers with IR/wireless pickups that you can wave over to change MIDI messages sent. And the DJ controllers with the CD-sized rotational encoders are perfectly fine for DJ work I conclude from videos I’ve seen. Related question: Does anybody know about a windows utility to use MIDI controllers in non-MIDI software? Like for instance SDRsharp. They have MIDI controllers for midi with tons of buttons and rotary controls in convenient form factors that would work well for various kinds of non-music software. I know autohotkey had a guy make a dll for it, but I’m not sure it’s all that universal and usable for all controllers.And GlovePIE hasn’t been updated since 2011 (and the site’s wiki is non-functional). And autoit3 also doesn’t seem to have native MIDI support although someone made a library but that’s also pretty old and you’d have to hope it would work. I suppose you could also just remove the MCU itself from such a MIDI controller and install a teensy and then have it report as a HID and sue the actual buttons and controls as input for the teensy. But if it can be done with software it would be so much easier and cheaper. So you’d need a MIDI to HID kind of deal. HDD. I had small 3-axis CNC and its movement was done with three dead HDDs and foot pedal. When pedal was pushed small stop current went through the motors and turning them worked as generator and the pulses were read. It wasn’t my hack so I don’t know it that much further. Serato Scratch Live uses time-coded vinyl and a phono to usb interface. I wonder (a bit late) if you could use the speed-checking thingies on the turntable? The reflective strips that use a little strobe, so you can tell you’ve got the speed exactly right. A couple of reflection sensors, at exactly the right distance apart, and you should be able to measure movement in either direction. Good thing is most turntables have them, even cheap, semi-disposable ones.